crafty lil' thing: Wands, Wands, Wands. 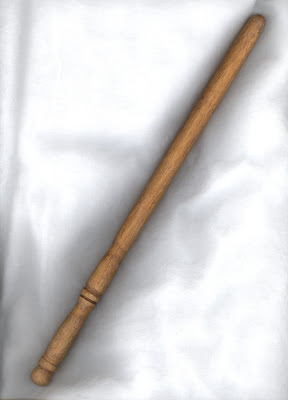 We've made quite a few wands in our time. This is K's first: 1/4 inch dowel rod covered with polymer clay. K made this felt wand at Harry Potter camp at Sci Quest. (K had a blast at the camp. She was sorted into Gryffindor, who won the house cup, and she was called Hermione by the other kids. She loved Every Day!) 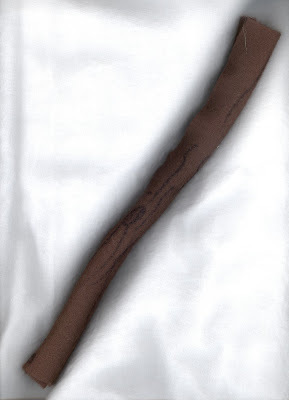 It is a nice wand to give little boys who come over to play. 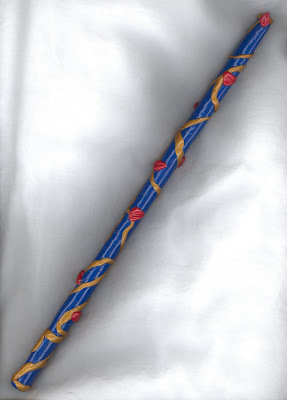 This is our first attempt at Ginny's wand from Order of the Phoenix. 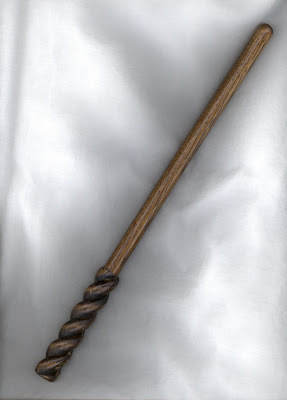 And this was my first attempt at a semi turned wand. Basically, I clamped an oak dowel in a vice and used a few files to shape the wood. I kinda liked the effect. I bought hubby a small tabletop wood lathe for our anniversary. More fun on the way.